8 Things You Need To Know About nothing,nowhere. nothing,nowhere. is on the cover of this month's Rock Sound magazine. We are so excited about it and believe in his art, but we appreciate that you might not be too familiar with him. So here are eight reasons why he's one of the most unique and exciting artists on the planet. …which is one way of saying, few people know that much about this Vermont-based producer and singer-songwriter: AKA Joe Mulherin. From covering his face in photos and videos to his enigmatic online profile, that’s exactly the way he's wanted it. Fall Out Boy's Pete Wentz backs n,n. so hard, he’s helped to put out his music via his DCD2 label. Good Charlotte took him on tour last year. 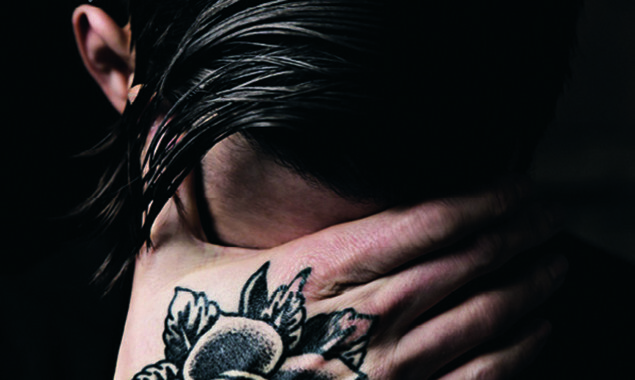 Renowned emo troubadour Chris Carrabba (Dashboard Confessional) appeared on ‘Hopes Up’. That’s not something that happens every day, or without good reason. Blending elements of emo, trap, alternative pop and a whole lot more, nothing,nowhere. embraces some of the most exciting sounds in music right now. If genre is truly over, Joe looks set to lead the charge. Whether it’s lost love, loneliness, anxiety or worries about what we’ll see when we look back over our lives, n,n. goes deep in his songs. Some of his stuff is incredibly dark, too. But it always comes from the heart. Over its nine tracks, Joe’s debut album sketched a whole new musical map – calling to mind everyone from emo legends to the most vital new artists in alternative hip-hop. But as his recent single ‘ornament’ underlined, he’s never going to stay in one place for long. And that couldn’t be more exciting. Skulls, dying flowers, grainy photos… crossed with aspects of skate culture and lo-fi, VHS style videos. Yep Joe’s world looks and sounds incredible. He may have only been making music as nothing,nowhere. for a few years, but a lot of people have already connected with Joe’s vision. Just look at how many tattoos he’s inspired, or the culture building around him online. That looks set to continue well into the future. 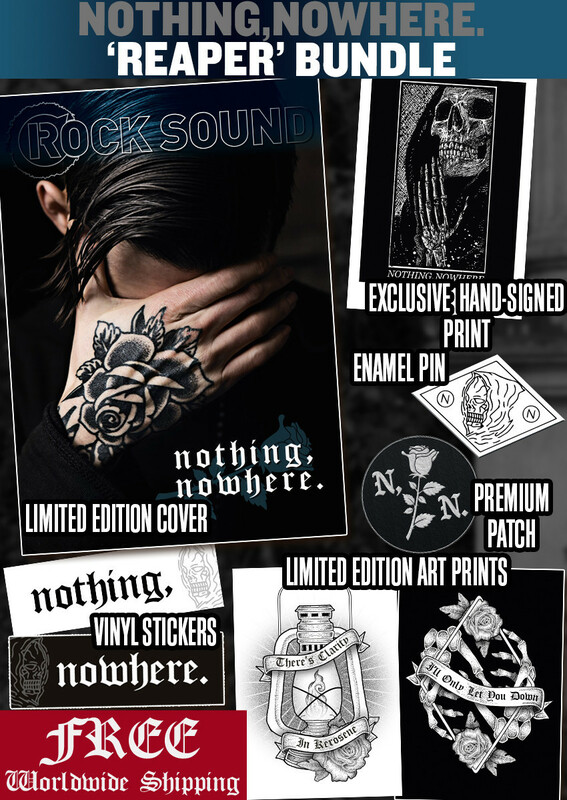 Get your limited edition 'Reaper' bundle with FREE worldwide shipping at shop.rocksound.tv!